"Click Here to Watch Geezer Crackle Fest Video "
The Division 4 Hall of Fame is excited to announce the Inaugural Division 4 Hall of Fame T-Shirt. This one of a kind “Heritage and Tradition” shirt includes the Hall of Fame logo with two race cars on the front. The back of the shirt contains a list of all of the people that have been inducted into the NHRA Division 4 Hall of Fame. 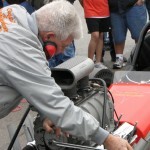 Don’t miss this opportunity to be a part of drag racing history. This shirt can be purchased at all Texas Motorplex events or online at the Texas Motorplex Online Store. Filed under Featured, Who Is This? From time to time we will be posting photos that we have and know very little about. If you know anything about the photos please email us at curator@division4halloffame.com or register for an account and leave us a comment on this photo. Who are the drivers? Who owned the cars? Where and when was the photo taken? The south Central region of the US has a long and illustrious history of drag racers, and drag racing machinery prior to 1980. 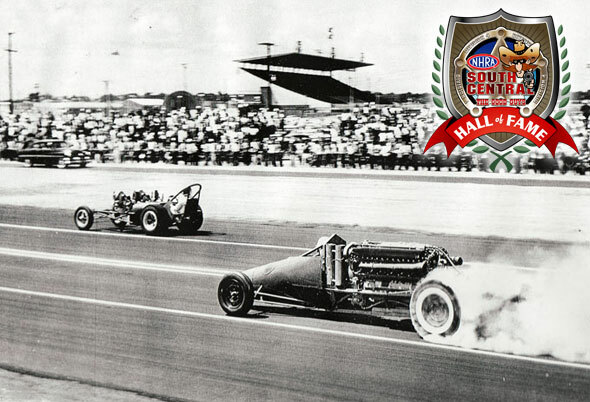 That history is reflected in the NHRA Division Four Hall of Fame, which until recently was housed in the pits at the Texas Motorplex. The space demands of the modern National Event has taken that space, but Billy Meyer has embarked on a project to allow even more race fans to experience that history. 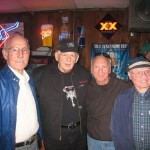 To rejuvenate the Hall, the Motorplex is reaching out to living Hall of Fame members, and the families of those who have laid the groundwork for this sport. 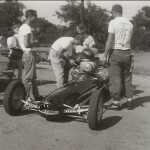 Glenn Menard at: menard@texasmotorplex.com or curator@division4halloffame.com, or P.O. 1439, Ennis, TX 75120; or by fax 972-878-1848.